It's a lovely, balmy afternoon out here in sunny Singapore. High humidity, but that's normal for us. 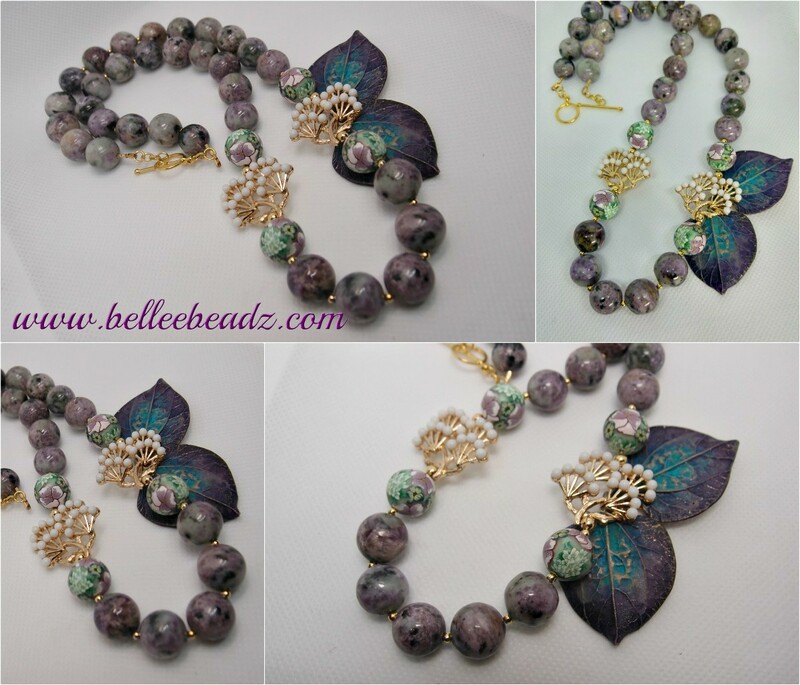 This afternoon, I'm 'showing off' an interesting piece featuring 14mm Russian Charoite, 12mm polymer clay matte rounds, a couple of gorgeous clay leaves and connectors featuring petite trees with snow white treetops. I haven't managed to show the translucent, pearly features of the charoite but most of the beads in this line are truly gorgeous.